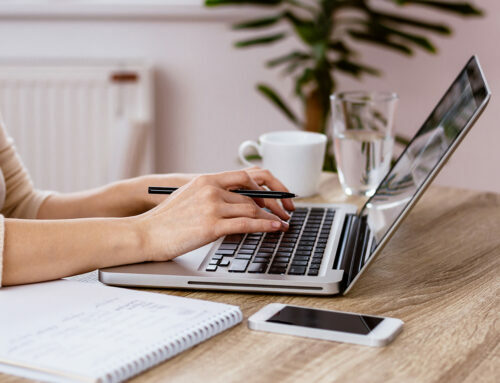 When your nonprofit is new, a budget is a critical tool to help you manage both your organization and your finances as it grows. A budget combined with a fundraising plan can help you make sure there’s always money to pay for the things you need to operate your programs. Without a budget, you can find yourself in deep water, fast, with more money going out than coming in. Not a fun place to be. It’s easy when you’re just starting out – and you’re super excited about the future – to operate on a lot of hope. Now, hope is not a bad thing. But you need some practicality and planning to go with it. Your budget will help you make sure the bills get paid, especially as you take on additional expenses. Your budget will also help you get funding because you can show donors that you know exactly what it costs to deliver services. If you want your new nonprofit to grow successfully and fulfill its mission, a budget is not optional. You must create and use one. Yes, you still need a budget. Trust me, it will make your life easier and it shows you’re serious about your nonprofit and its future. So, how do you create a budget? What goes into your first budget? And how do you get it done if you’re not a numbers person? For most brand-new nonprofits, creating your first budget means starting with a blank piece of paper (or a blank screen). It can seem a little overwhelming, but it doesn’t have to be. 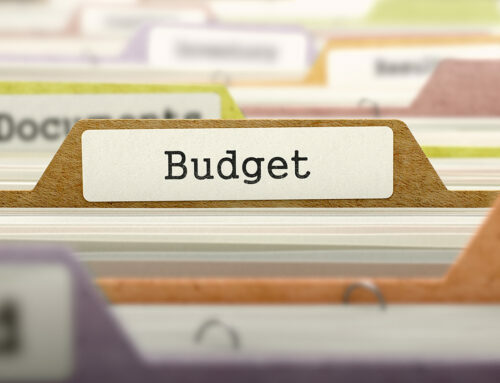 Here are 5 steps that will help you create your first budget for your new nonprofit. Carve out time to do it. This is not a fast activity, so commit to taking the time to do it and do it right. Since your nonprofit is new, you don’t have historical numbers to look at and base your projections on. That means you have a lot of estimating to do. Mark off a couple of blocks of time on your calendar to research things like supplies, materials, and equipment online or call local vendors to find out what things cost. It’s best if you get 3 estimates for each line item on your budget so you know your estimate isn’t too low or too high. If you don’t leave yourself enough time to complete this part, your budget may not be realistic or accurate and that won’t serve you very well later when you’re depending on this tool to guide your financial decisions. Decide on program activities for this year. It’s time to ask yourself some questions about the programs and services your new nonprofit will provide this year. What program will you run this year? What supplies, equipment, facilities, and staff will you need to operate the program? When your nonprofit is new, it’s easy to bite off more than you can chew initially. Be realistic about what you can successfully operate the first year, especially if you will need to raise the money for the program (fundraising can be a bit slow at first). 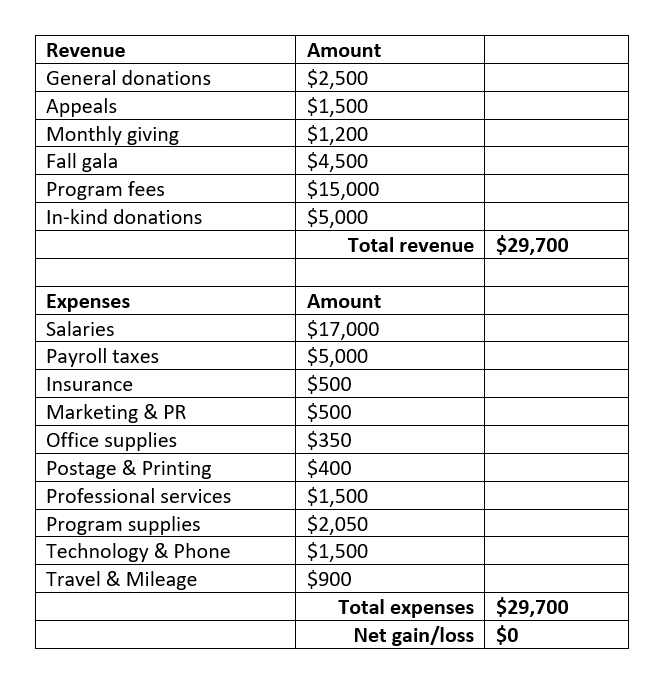 Estimate expenses for all program activities. Once you have your program activities defined and a list of needs for the program, it’s time to get quotes and estimates for each line item. 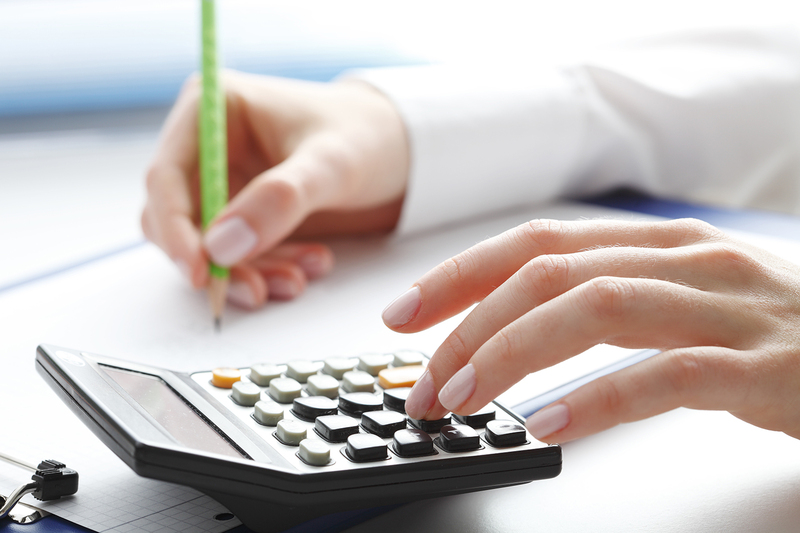 As much as you can, contact vendors and potential providers to get real estimates for costs. For example, if your nonprofit is a food pantry and you want to add shelving, don’t guess how much those shelves will cost. Do some research to find out first what kind of shelves you need for commercial use (there’s a difference between the quality of shelving you can buy at local retailers for your home and shelves that are durable enough to handle the use). Then get estimates from at least 3 vendors so you can see what the going price is. Put that number in your budget. Repeat this exercise for every line item in your budget. Again, don’t try to shorten this process by guessing. Estimate revenue. Every budget has two parts: expenses and revenue. We’ve covered expenses, so it’s time to estimate revenue. Start by projecting any fee for service or program revenue, then get out your fundraising plan. 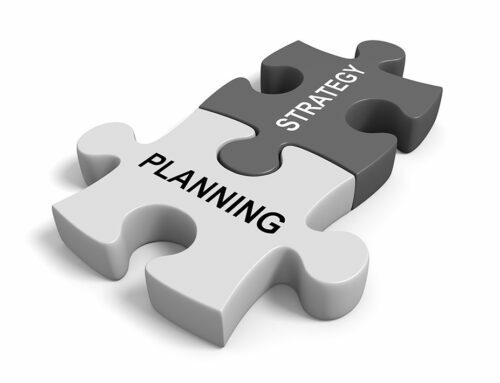 You need to have a well-thought-out plan for generating the revenue you need to support your programs, not “we hope to raise the money.” Lay out each fundraising activity you plan for the year along with a conservative estimate of how much you think you can raise from each one. If you are too optimistic in estimating revenue and you don’t reach your goals, you’ll find yourself struggling to pay the bills later in the year. Adjust until you get a $0 balance. Once you have your total revenue estimated, compare that amount to your total expenses. If revenue doesn’t cover expenses, you’ll need to adjust either revenue, expenses, or both until totals are equal. Again, be careful not to overestimate your revenue just to get a zero bottom line. Be sure you can actually raise the number you put in for fundraising. You may be wondering exactly what line items to include in your budget. 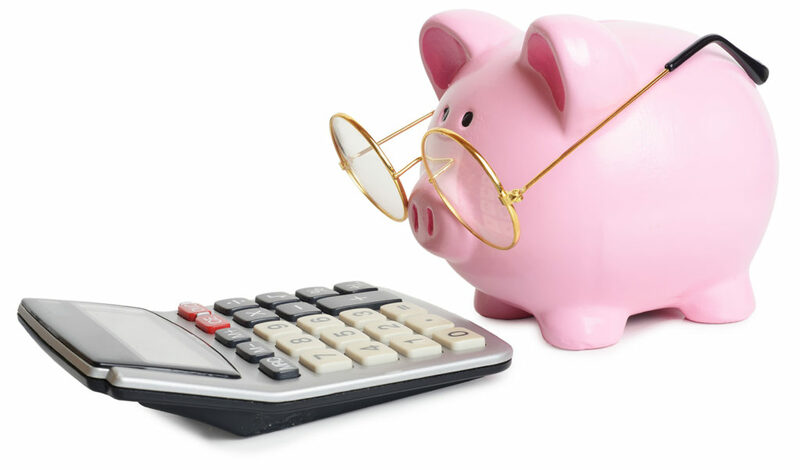 As you put your budget together, here are some tips that can help you. Document your assumptions and calculations about where the numbers come from. For example, if you assume $10 per person per month for office supplies, write it down. Otherwise, the time will come later when you’re trying to figure out where a number in your budget came from and you won’t be able to remember. Use real numbers. This is worth repeating. Don’t pull numbers out of the air. Take the time to get real estimates. Next year, when you have a year’s experience and historical numbers to pull from, you can use your actual numbers as estimates. Double-check your math. Whether you’re creating your budget with pen and paper or using an Excel document, double-check the math. Seriously, Excel formulas can get messed up and leave out cells, so manually check the math with your calculator to make sure everything adds up. Separate operations from capital, equipment, and special projects. Create a separate budget for capital needs, equipment, and any special projects. 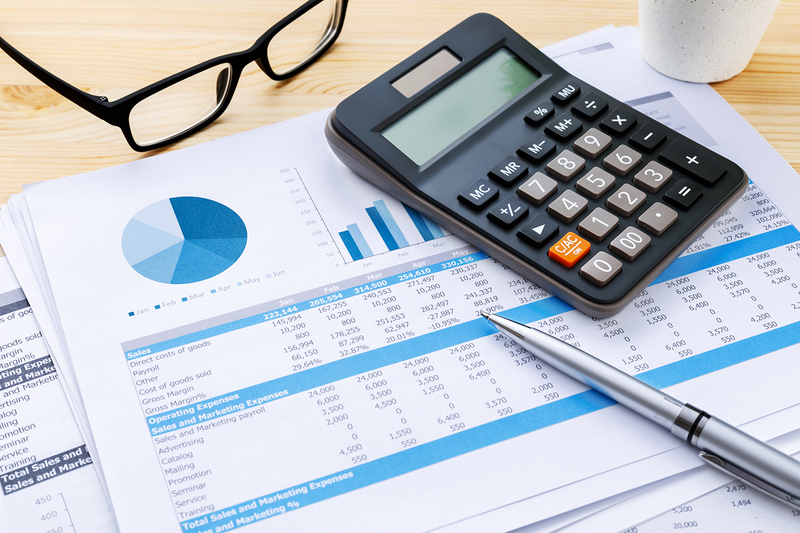 Your operating budget should only include revenue and expenses related to operations. If you include a one-time equipment purchase, it’ll give you a false sense of what it really costs to run your programs. You’re a smart cookie. After all, you’re here reading this! To be even smarter and make your life and the budgeting process easier next year, there are two things you can do. Start early. Start earlier than you think you need to because more time makes everything easier. Carefully track your numbers this year, and next year’s budget will be easier to create. That means diligently tracking and recording expenses and revenue, plus program numbers (like number of people helped, number of dogs adopted, etc.). Those details will come in super handy when you start projecting expenses for next year. 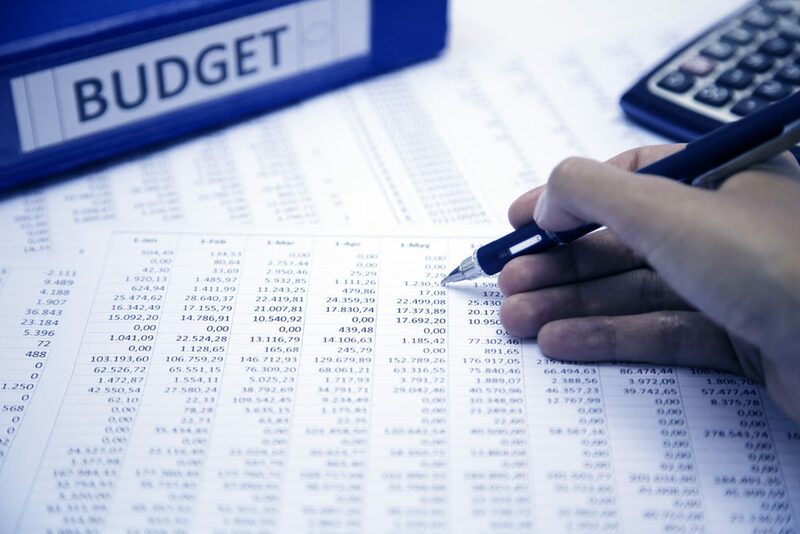 Your nonprofit’s first budget is a critical tool for both planning purposes and managing finances as the organization grows. Spend the time to put some thought into creating a budget for your new nonprofit. 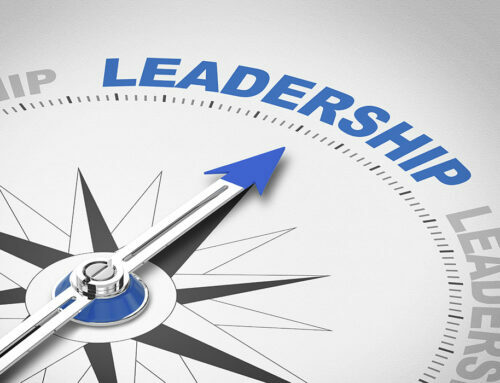 It will serve you well as you run your programs, grow your organization, and make a difference in the world.